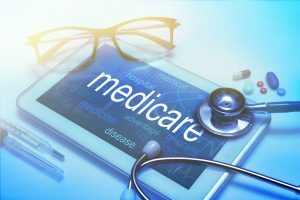 Medicare Decoded: Part A, Part B—What Does It All Mean? If you’ve recently become a family caregiver to an older adult, you’re probably learning all sorts of new things, and you probably have a lot of questions. One of the more difficult things about being a family caregiver may be learning to navigate healthcare paperwork, including information related to Medicare. There are different kinds of coverage available through Medicare, and understanding them can help you to better deal with medical bills for an older adult. Medicare Part A is free for many people who are eligible for Medicare. It covers most of the costs associated with a hospital stay. The patient is responsible for paying a deductible and copays. Medicare Part B helps pay for things like doctor appointments, preventative services, lab work, and outpatient hospital care. Part B is not free. The average cost is about $134 per month, but may be slightly less when the senior opts to have the premium deducted from their Social Security check. It may also be higher depending on the senior’s income. Part B also has a deductible and copays. Medicare Part C is also called the Medicare Advantage Plan. With Part C, older adults get Part A and Part B, but it is administered by a private insurance company. The private companies that offer Part C plans have been approved by Medicare. Part C lets older adults take advantage of HMO and PPO plans, which may help them to save on out of pocket costs. The plans may also offer vision or dental coverage, and may even offer prescription coverage. Medicare Part D is prescription drug coverage. Part D was made available in 2006 and covers outpatient prescription drugs. However, it does not cover everything. For example, if an older adult goes to a facility for chemotherapy treatment, Part D doesn’t cover the drugs used. Instead, Medicare Part B would be used to pay for the treatment. There are also other types of prescription drugs that may not be covered, so you may need to contact Medicare to find out if your family member’s prescription is covered. The cost of Medicare Part D depends on a variety of factors, but the estimated premium cost is $33.50 per month. As a family caregiver, you may find yourself coordinating medical care and handling the bills. Finding out as much as you can about how Medicare works will make the task easier for you. You can learn more by visiting the Medicare website.